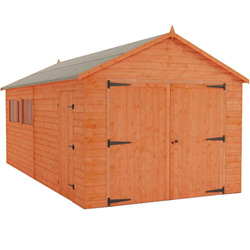 Find out more about our Wooden Garage Sheds range. Looking for a place to store your car? 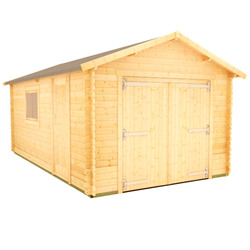 Then look no further than our wooden garages. Safe, secure, and long-lasting, our garages are the perfect choice for anyone who really cares about their car. Our garages are also perfect for storing tools, components and cleaning equipment – a one stop shed for all of your car-related gear. Made from the highest-quality timber in our Leeds workshop, we can ensure that our garages are a truly robust product. If you need to customise your garage in any way, let us know. We control all aspects of the design, as well as manufacture, so we can add anything you may need. If you have any questions, don’t hesitate to get in touch. We also offer a 20-day delivery option as standard.